Coorg is known for its vast expanse of coffee plantations, scenic landscapes and tranquil surroundings. But something that shouldn’t be overlooked by tourists and travelers is the Kodava cuisine. The availability of fresh spices contributes to the unique and rich flavors of the food. Coorgis are originally known to be a warrior tribe and their cuisine is predominantly non-vegetarian, however with the growing popularity of Coorg as a tourist destination there has been a steady infusion of vegetarian dishes as well. 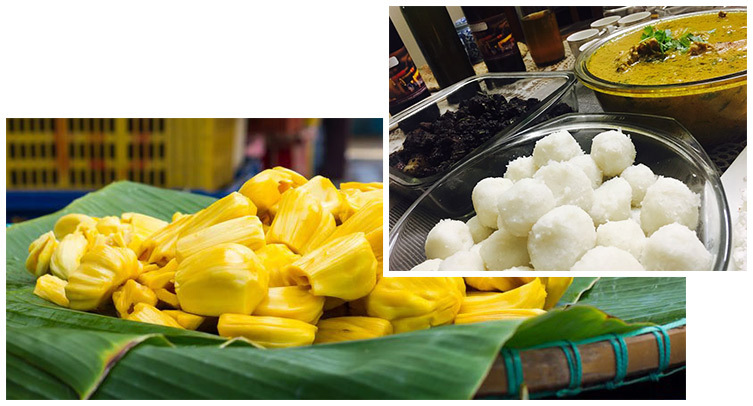 Coorg shares its southern borders with Kerala so there is a heavy influence on the cuisine as well. Rice and rice-based dishes such as puttu, kadumbuttu or rice flour balls and idiyappam also known as nooputtu are consumed along with side-dishes and are common in most households. To accompany these, their cuisine offers an assortment of hearty curries. The Coorgis are known for their love of pork and one of the popular dishes which is also a local delicacy is the pandi curry. Other mouth-watering curries include chicken and mutton with a burst of local flavors. Vegetarians need not be disheartened as there are some delicious vegetarian dishes unique to the Kodava cuisine such as bamboo shoot curry, Koovaleputtu, a savoury item prepared from ripe jackfruit or banana, steamed in banana leaves or a simple mushroom curry. A special and distinctive ingredient predominantly used in Kodava cuisine is called kachampuli which acts as the base sauce for most dishes in the cuisine. It is their own version of a sauce that is extracted from the ripe fruits of the Kodambuli fruit. 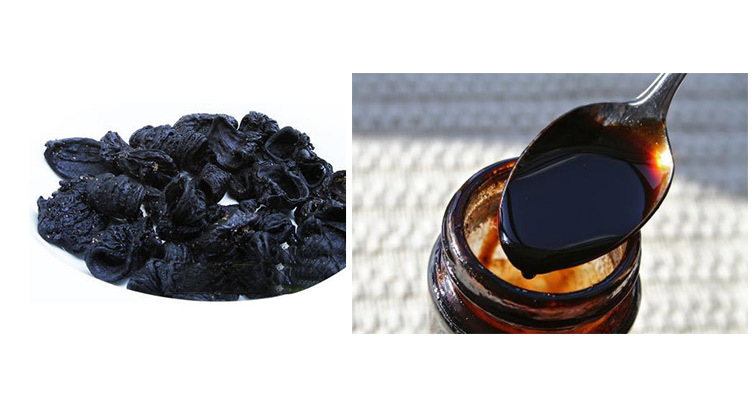 This thick black sauce is often available for ready use in most households as it is a common ingredient used in most of their preparations. Other popular ingredients used to create delectable kovada flavors are coconut, spices such as cumin, pepper and also green chillies. Like many other cuisines in India, Coorgi food also serves chutneys and pickles as accompaniments, mostly made from dried or smoked meat and fish, or tender bamboo, gooseberries, and mushrooms. You can enjoy the local flavors and serene ambience at the Harvesters restaurant at Sixth Element. Combining delectable native flavors with a fine dining experience, the Harvesters restaurant offers the best of Coorg cuisine with soulful preparations by the chefs complemented by the elegant, tranquil ambiance of the restaurant. Using the freshest of ingredients and expert culinary skills, Harvesters restaurant presents you with an assortment of food from both local and international specialties to choose from.